This Story starts like many others. I received a call from potential clients, Ian and Heather, about helping them sell their home located in Middletown. They were referred to me from mutual friends, Jeremy and Beth. We had helped Jeremy and Beth a few years prior. Jeremy and Beth understood the process, and the Approach that we use to achieve maximum profits for our sellers. They did everything we outlined to a T and their results, last I checked, still had the highest price sale in their neighborhood in the last 3+ years. Jeremy, Beth, and I are friends so they gave me a heads up that Ian and Heather might be calling for my help. They even mentioned how Ian and Heather had tried to sell their home a few times prior but were unsuccessful. Of course I went and looked up their home on Cone Branch in Middletown, the old listing. The house was nice, but there were some Fundamental Mistakes that was made in the prior attempts to sell that I noticed immediately. I also noticed that their ‘old agent’ was a friend of mine. Someone in the business that I like a lot. A great person. A good agent. But she doesn’t have the documented Approach (The Psychological Approach to Sell Real Estate) that we have. We put our sellers through the wringer, if you will. Once we have our initial consultation and we find out the motivation for our client, we can then recommend the proper course of action to achieve those results. Not every client’s motivation is the same, therefore each client gets a customized game plan for their desired result. Then the client and I work together to achieve the result. Is there 100% success rate? No. But our typical results far exceed what our client initially expected. So when Ian, Heather, and I talked, it was clear of their motivation. They had moved and didn’t want to continue to own a home that they were not living in. They wanted a quick sale for maximum profit. Now you are thinking who doesn’t? Not everyone needs to sell immediately. Some can test the market. Some have to coordinate a purchase and a sale. Some don’t have very much money to invest in the process. Some don’t have time. We can work with any situation (almost). We just have to know the motivation. We came up with a game-plan for Ian and Heather that included 12 items from a checklist that ranged from as large as replacing kitchen counters with Granite, to as small as paining the registers for ductwork. Ian and Heather had a contact for the countertops, then we used some contractors that I have on speed dial for the other improvements. This endeavor was not cheap, but it was necessary – absolutely necessary – for Ian and Heather to get their desired results. This didn’t come without some very intense planning and coordinating of schedules. This was about 2 months of planning to line everyone up once the tenants moved out. Once I got the green light of the tenants moving out, we were able to get all of the work done within 2 weeks and then had to arrange for the professional photos by Annie Main (who accompanies me on each listing and is a KEY member of the team.) Annie even went out 3 different times to get just the ideal pictures at the right time of day. Ian and Heather were stressed. They had questions about why we were doing what we did. I told them to just trust me. And because they were referred from Jeremy and Beth, they did just that. They trusted in the process, in the Approach. I never, ever, ever guarantee anyone a specific result but what I do guarantee is that if they follow the Approach and the game-plan, they will position themselves in the best place possible to achieve their desired results. What we do, the “Secret”, if you will, is try to engineer an emotional attachment between a potential purchaser and the house. There are certain steps that we do, some major others subtler, but all geared towards finding the right emotions of the house. Yes, buying a house is an economical and should be a logical decision. But from studying Human Psychology, I have found that the number one factor in large purchases is EMOTIONS. This is why with everything we do. The Scientific Staging, the Professional Photos, the ‘Creating a Buzz’ campaign, the written Property Story, everything we do is choreographed to create an Emotional Attachment. That’s what other agents don’t understand. They haven’t studied Human Psychology as we have. They don’t understand the emotional trigger points. They don’t know the ‘Rule of 3s’ in Storytelling. Thus, they don’t have a documented Approach to achieve maximum profits. The end result is engineered from our initial meeting. Deviate from the game-plan and you put yourself at risk of being disappointed in the results. Back to Ian and Heather. After months of planning and preparation and following the game-plan we listed their house early in the morning on a Thursday. We had 3 showings that first day on the market and we wrapped up a contract at 12:03am on Friday morning. Not even 24 hours on the market and they had a GREAT offer. After failing multiple times before in getting an acceptable contract, by following The Approach they were able to get their desired result; a quick sale at maximum profit. When I met the buyers at settlement, I asked them why they chose the house. They said, it just looked SO much better than anything else we had seen, we called Andy (the other agent) and told him we HAD to have that home. Think if the hard work wasn’t done prior that the same end result would have happened? Doubtful. That is why at the core of everything we do and are going to do is based on ‘Storytelling.’ Not Sales, not Leads, not Cold-Calling, not Pestering. But STORIES. If you resonate with the ‘Story’ then everything else falls into place. The ‘Story’ of a home is 3-prong. Visually (through pictures), Written (through Property Stories), and Emotionally (this is harder to describe but knowing the psychology of why people buy homes allows us to properly present homes). Conveying your message, your principals, your thoughts through Story is more powerful than anything you could do. Even the best ‘salesperson’ can’t compete with a well told Story!!! That’s why I wrote about Storytelling in my Book, The Psychological Approach to Sell Real Estate. Here is an excerpt from the book. Pretty much everyone understands what that is. The concept. But few truly understand, as Jobs did, how it applies to the marketing of a product or service, or what affect it has, or what positive impact it can make on the way people assign value to things. 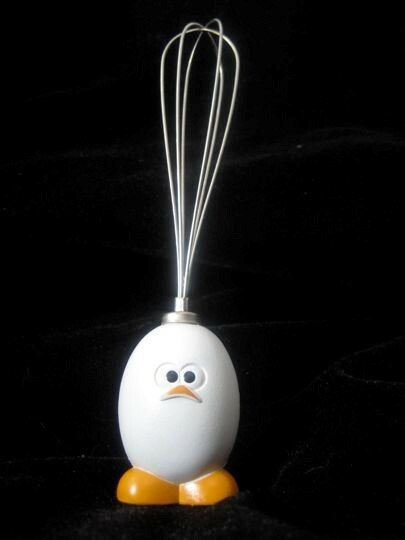 Perhaps the best example of the power of Storytelling can be found in looking at the case study of the…egg whisk. In researching the success of storytelling and how it can relate to selling products or services, I came across a fantastic website, SignificantObjects.com. The site describes itself as “a literary and anthropological experiment devised by Rob Walker and Joshua Glenn, demonstrated that the effect of narrative [story] on any given object’s subjective value can be measured objectively.” Walker and Glenn hypothesized that they could take any mundane object, have a writer tell a compelling story about that object, and then sell the object attached to the story at an increased value. Here’s how the experiment worked: they would first obtain objects from thrift stores and garage sales. These objects would cost no more than a few bucks, and some were even free. The next step of the experiment had a writer create a short story about the object. The final step was selling the “junk” items on eBay; the only difference between when they curated the item and when they sold it was that a story was now attached to the item. The results of this experiment were amazing! The researchers purchased $128.74 worth of thrift-store “junk.” They attached a story to each item and sold them for an astounding $3,612.51. What they found was that the power of a story raised the perceived value of the items by 2,806%! 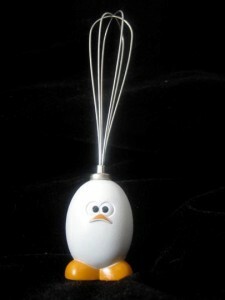 For example, an old egg whisk was purchased for 25 cents and sold on eBay for $30 after the whisk’s “story” was told. From this experiment, the researcher hypothesis was 100% accurate. Stories create an emotional attachment to a product for consumers, and a story told the right way can add significant value to even the most insignificant items—even an egg whisk. Walker and Glenn concluded that “stories are such a powerful driver of emotional value that their effect on any given object’s subjective value can actually be measured objectively.” Or simply put, “When someone likes a story about an object—or your home, if it’s on the market and you’re selling—that emotional connection is expressed by the buyer’s willingness to pay a higher sales price.” This, of course, earns the seller of the object a greater profit. This is a perfect example of how Stories create and emotional attachment. That is the key to everything… an Emotional Attachment!! !